First Baptist Bloggage - What about 2019? I’ve deeply enjoyed the honor and privilege this year of working alongside Christ and serving as one of your pastors with the other elders to bless our church. I’ve laughed at the funny moments, and I’ve cried at the sad times too. I’ve been challenged in ways this past year that sometimes hurt, and I’ve been rewarded in surprising ways that brought deep and lasting satisfaction. I’ve seen Christ’s hand at work around us, and I’ve enjoyed watching Him move among us. I’ve had fun, and I look forward to another year of an exciting adventure and joining you on the journey as we boldly carry the gospel to the ends of the earth. Bold is a good word for us right now as we prepare for our Annual Great Commission Meeting and think about 2019 and the year that lies ahead. We have to be increasingly bold if we would serve and help save a lost generation that walks among us. It was the prayer of the Jerusalem Church in Acts 4 that God would make them bold in their witness despite the hostility and persecution of the surrounding city. Given all that we will face in 2019, we also should be seeking boldness from God in our witness and testimony. Now, if I may make a bold statement to you, allow me to suggest that Bold is the opposite of most church “tradition”. Of course, you know what most traditions and customs are? They are often unexamined comfort zones. They are, “…the way we’ve always done things.” Please don’t misunderstand me. I have a fondness for the traditions that have been handed down to us by our forefathers, and it is always wise to consider carefully the customs and teachings that the gray-haired, honored, experienced and accomplished have passed along to us. We are fools to forget or ignore the past! But, by the same token, we can never accept tradition just because our fathers gave it to us. To do so is to engage in mental and spiritual numbness. Unexamined traditions, or “…doing things the way we’ve always done things,” are our dreaded enemy! Tradition can sometimes keep us from scrutinizing ourselves in humility before the Lord. Tradition can hold us back from learning how we have succeeded and how we have failed. Doing things the way we’ve always done them will keep us from focusing on fulfilling our King’s Great Commission. So let’s take a hard look at ourselves. Let’s evaluate our efforts in spreading the good news of Jesus Christ with a frank and honest review. So I exhort you, let’s be… BOLD. Dream big. Think BOLD. Now, add God to the equation. Remember, God has charged YOU with the responsibility of sharing the gospel with everyone from Kamloops to Kandahar, from here to the ends of the earth. So dream again, but dream BIGGER. Think BOLDER! Dream God-sized miracles. This is the spiritual frame of mind that you should be in for the next four weeks as we anticipate our Annual Great Commission Meeting. I want you dreaming BIG and thinking BOLD! For example, if you devise a plan for missionary engagement in your neighborhood that is entirely feasible with your own individual resources and abilities, that doesn’t require dependent prayer and the help of other brothers and sisters in Christ… then you’re just not dreaming God-sized dreams. Your boldness is a little sad and not very bold at all. How are our attitudes during worship on Sunday? Are we showing up for a worship service or do we view our arrival at church as gathering with our body, indeed our family? Could our Music more boldly praise God? Could our Prayer more boldly reflect a deep trust and confidence in God? Do we pray expectantly for great things to happen? Could the Teaching more boldly challenge our church? Could Communion more boldly remind us of our lasting connection to Christ and our unity with each other? Could we be more bold in teaching our Children during Sunday school? Could our Exaltation of God be bolder? Who can you reach immediately? What attitudes toward evangelism need to change? Where or how could you boldly make an impact with the gospel? What bold steps of faith need to be taken to reach the un-churched and the unsaved? How could your kids evangelize their friends? How could our households evangelize together? How can our Care Groups evangelize together? What worldwide impact could we make as a united body (i.e. foreign missions)? Where could we go as a church to reach others, and what steps do we need to take this year to accomplish that dream? How are you going to bring eternal value to your immediate surrounding community or neighborhood? How BOLDLY effective could our education and discipleship be this next year (Acts 2:42). How will it become a passionate pursuit of our church body ("continue steadfastly in the Apostles' doctrine," Acts 2:42)? What resources (qualities, gifts) do you personally have in place to launch greater disciple-making in our church, and perhaps through your Care Group? How will our fathers and heads of households (single moms, etc.) be trained to be the spiritual head of their homes this next year? What role can our Care Groups play in this process? 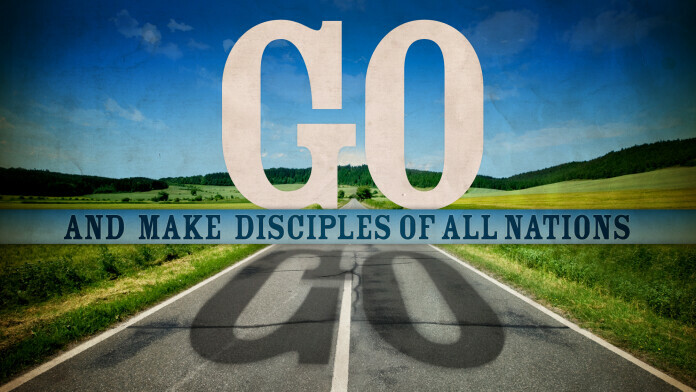 What training will be needed to help develop disciples who are passionately pursuing Christ? How can we expand the influence and reach of First Baptist Classical Academy? How BOLD could an Acts 2 commitment to fellowship be this next year (Acts 2:44-45). In what ways will our church body seek to meet the needs of one another (spiritual, social, financial, physical) through our Care Groups and other small group gatherings? What attitudes need to change to be sacrificially generous with our time, money and resources for the encouragement and edification of our whole church body? How will our body serve one another actively and responsively in an unprompted way (i.e. the pastor doesn’t have to direct anyone specifically to meet a need, but the members of the body are already sensitive to each other and the needs)? How can our church members better communicate a covenantal commitment to one another? How BOLD could Ministry be this year? How can everyone be better unleashed to engage in the church’s ministry? How can we be better strengthened through ministering to each other? How can the children be encouraged and trained to evangelize their friends and serve within the ministry of the church? What role will the heads of households play in the student ministry as their kids evangelize their friends at school? Who (person or groups) among us can lead us in even greater ministry to the students of Kamloops? Who (person or groups) among us can lead us in even greater ministry to the seniors, the shut-ins, or the residents of retirement and care homes within our city? Is there an under-served group or population within our city or community that we can begin to bless? What other positions of leadership need to be filled within our church to begin ministry in an under-served segment of our church? How BOLD could the Elders and other staff be this next year? (Eph. 4:11-13). Are the Elders doing the ministry, or are they leading the people of this great church to do the ministry? If they are doing the bulk of the ministering, how will they develop the body to do the work of the ministry? What bold steps does the church need to take to free the Elders to be equippers? How can the Elders be bolder in accomplishing God’s purposes this next year? How BOLD could we be NOT reacting to finances to obey God's call (Matt. 6:24)? How will our faith in God’s calling to us as a body to reach out to the community and the world be weighed against financial responsibility and biblical stewardship? What attitudes or practices about money and finances need to change? Can we do a better job honoring God with our money both as individuals and as a church body? What expenses can be cut immediately to be redirected toward the church's mission? Is the church body (especially the leadership) making decisions based on finances or on God's calling? Please be in a state of prayer, and contemplation as we approach our Annual Great Commission Meeting. Take a look at the budget. Pray through it. Think through the above considerations. Ask God to speak to you about the direction of our church. Ask God to speak to you about the direction that you, individually, are taking to serve Him daily. Ask Him to lead all of our church members in unity to dream a big dream. Ask God to cast a BOLD vision before us for the next year. If necessary make a motion to address any issue that God lays on your heart at the upcoming AGCM. If God does lay something on your heart, speak to one of the pastors about it. Pray about it. Let us pray with you. We will help you to craft a motion or resolution to be offered at the AGCM for the church’s consideration if necessary. Remember, it takes all of us praying and working together in order to follow God’s call. Above all else, think of how YOU will personally carry the gospel forth BOLDLY to the ends of the earth with our church family.